Encryption is an essential step in keeping your sensitive data safe, especially as it traverses the world from building-to-building and data center-to-data center. 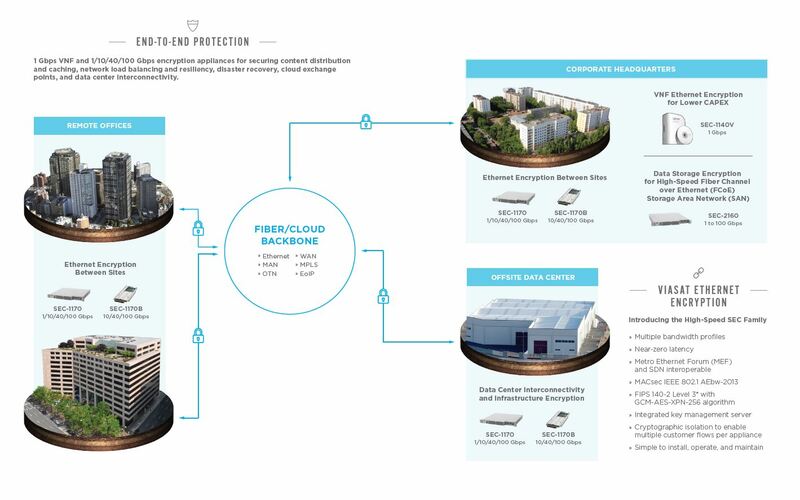 With Viasat’s line of high-speed encryption appliances and virtual network functions (VNF), you get trusted high-performing protection with near-zero latency, ensuring your important voice, video, and data is securely and quickly delivered wherever it needs to go. Viasat is the 1st to introduce true 100 Gbps Ethernet encryption! Our SEC-1170 single-port high-speed appliance not only delivers the industry’s lowest latency, but also scales from 10 to 40 to 100 Gbps, seamlessly evolving as your network grows. Viasat encryption is accredited and used by enterprises, educational institutes, governments, and militaries worldwide. Our SEC family of products are part of a controlled supply chain and manufactured in the United States. High-speed Ethernet encryption (AES-256) appliances and software for securing content distribution and caching, network load balancing and resiliency, disaster recovery, cloud exchange points, and data center interconnectivity. The Viasat KG-200M was designed for missions that have classified (TS/SCI and below) data-at-rest (DAR) requirements and is ruggedized for airborne or tactical applications. With the KG-200M installed, all data stored on your hard drive is seamlessly encrypted and secure at all times. This inline media encryptor (IME) includes a 3G SATA encryption module for installation into a 6U cPCI rack, along with a remote CIK receptacle and removable LED/PIN pad for secure two-factor authentication. For easy access regardless of where your DAR is located in your aircraft or tactical vehicle, the CIK and LED/PIN pad can be wired from the installed encryption module to an area of convenience on your platform, enabling quick admin functionality. Configure multiple remote zeroization options to meet your specific mission needs, keeping your data secure without destroying equipment. As enterprises evolve to keep up with the growing need for 24/7 “content on demand,” it has become increasingly important to ensure information transferred between corporate headquarters, data centers, and end-users is protected. 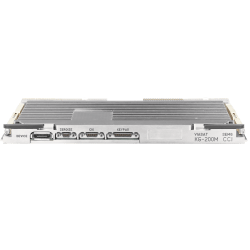 The Viasat SEC-1170 high-speed Ethernet encryptor provides a scalable approach to securing data in transit for cloud computing, big data processing, and other content-rich applications. 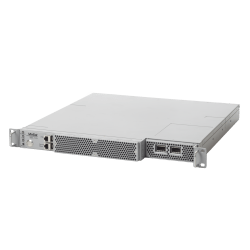 With this trusted encryption appliance, you gain the power to encrypt a true 100 Gbps point-to-point or point-to-multipoint data channel, providing end-to-end network protection in a single 1RU box with near-zero latency encryption.